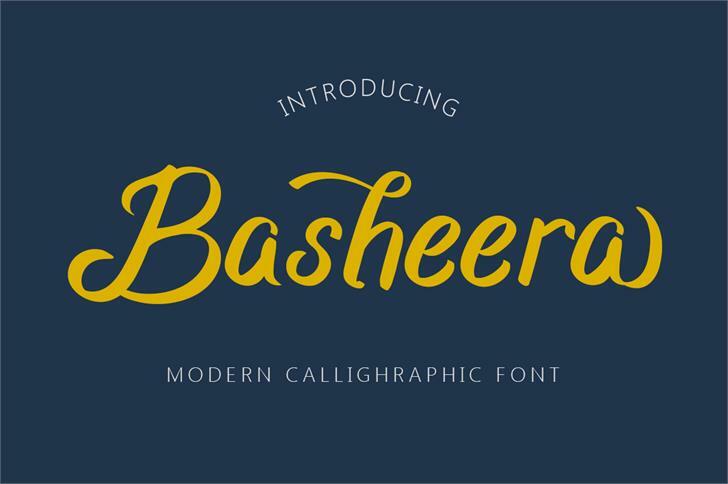 Introducing Basheera – a new modern & fresh calligraphy font. this font looks natural, elegant, and perfect for any awesome projects. Basheera is perfect for many different project such as logos & branding, invitation, stationery, wedding designs, advertisements, product packaging, product designs, label, photography, watermark, special events or anything. Copyright (c) 2019 by Budi Erlangga. All rights reserved. Basheera is a trademark of Budi Erlangga.